I remember when I was young, Maybelline was one of the beauty brands I go to for really trusty liquid eyeliners that do not fail me. 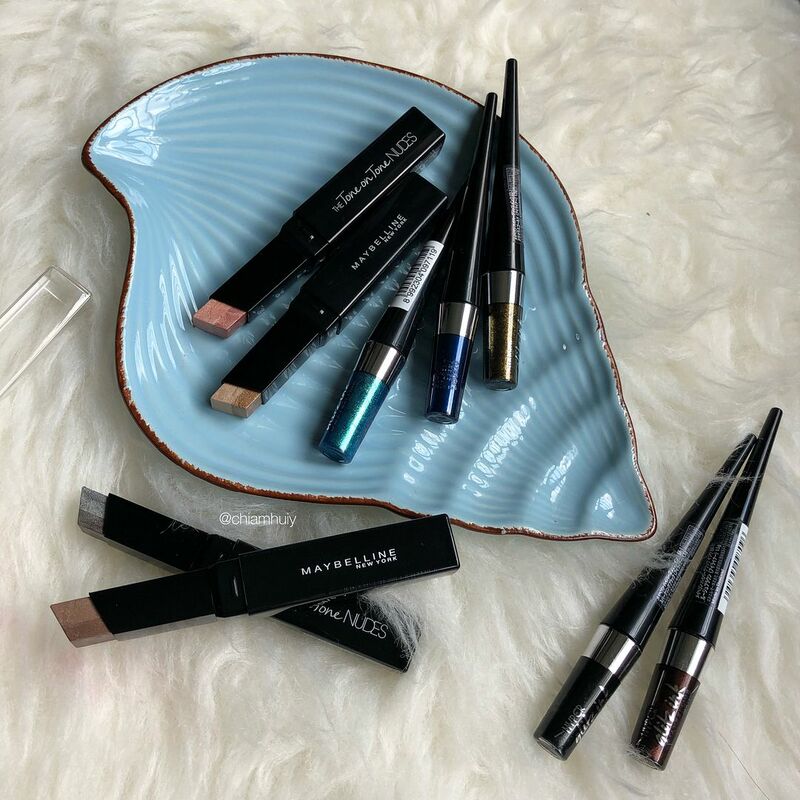 Also known for their wide mascara range, Maybelline has always been improving on their product offerings to make sure they're catering to the ever-changing needs we ladies have. This holiday season, it's all about sparkles and glitters for Maybelline. Sharing with you, the new Maybelline Tone on Tone Nudes & Hyper Glitz Ink Liquid Liner! These days, you'll notice brands coming out with products that does a job twice faster. 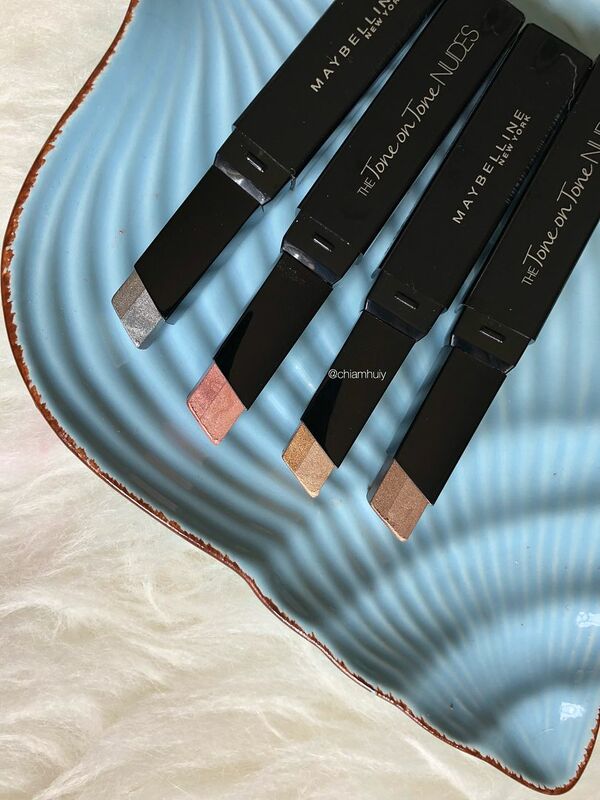 Maybelline Tone on Tone Nudes ($18.90) is the eyeshadow bar that gives you two shades of the same colour range, one darker than the other, with just one swipe. 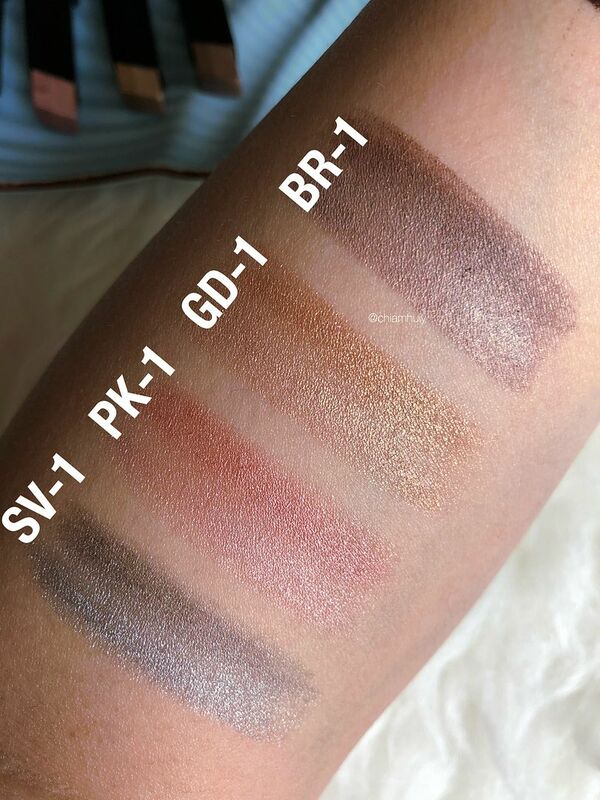 This way, you'll be able to easily achieve a gradient eyeshadow look without having to apply an eyeshadow colour on top of another. 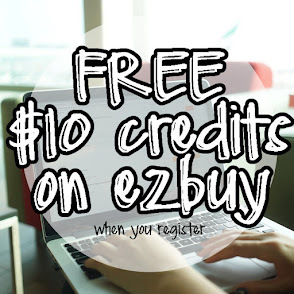 We're talking about fast application here! The colours from left: Stars On Edge, Cherry On Cake, Bonnie On Clyde and Love On Taupe. 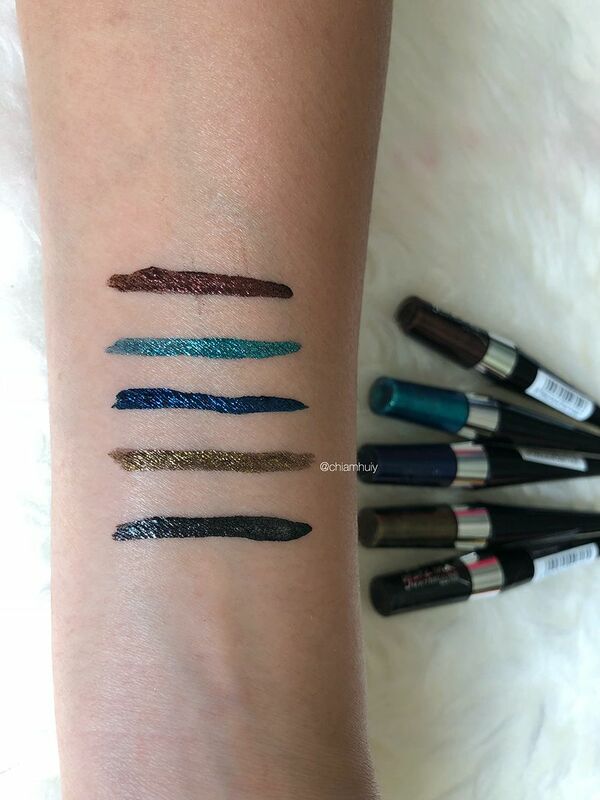 The other new launch that stole my heart were definitely the Hyper Glitz Ink Liquid Liners. 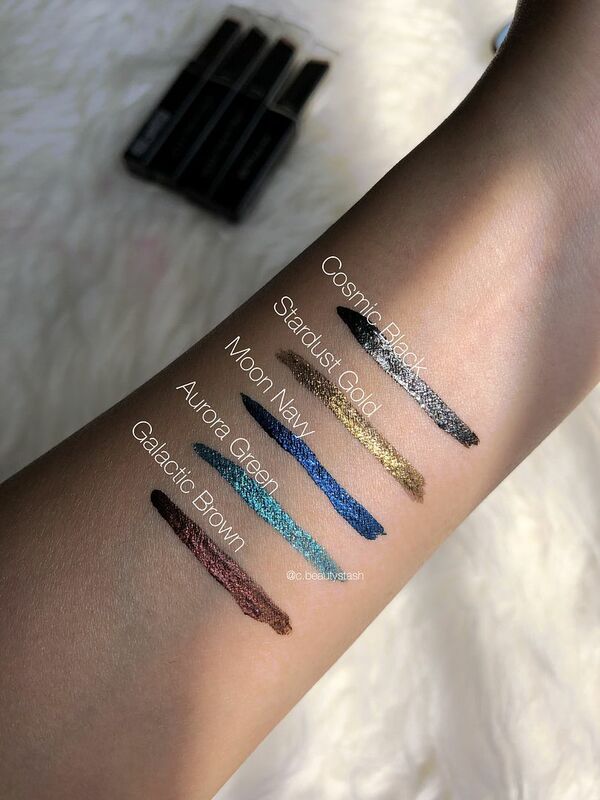 These metallic eyeliners were so intense, and the best part is they do not budge at all. Make sure you leave them to dry completely. 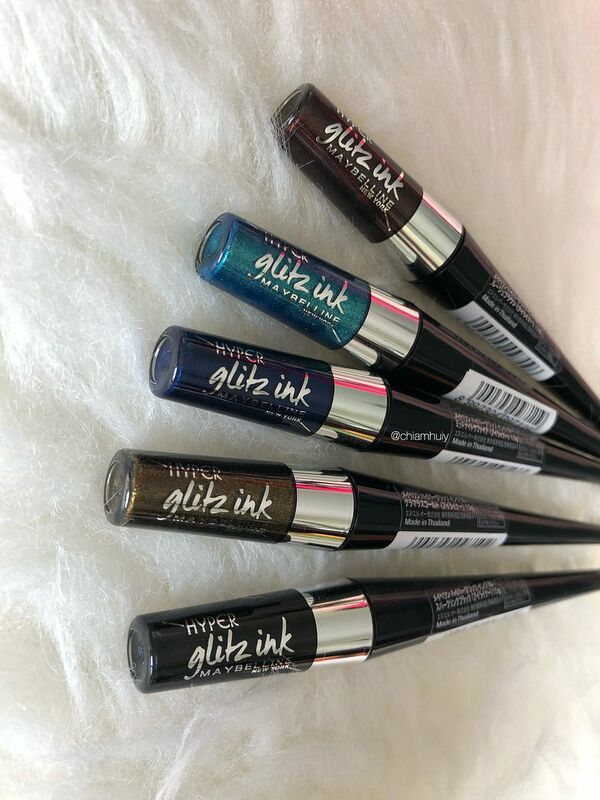 Hyper Glitz Ink Liquid Liner ($18.90) can last up to 24 hours and is definitely buildable. I would say, they're surely a show-stopper at parties this holiday!